Work on the Merck Stadium at Bollenfalltor is to start soon following the commissioning of remodelling of the stadium, according to sources. The demolition and reconstruction work started after the last home game of Darmstadt against FC Ingolstadt in December. 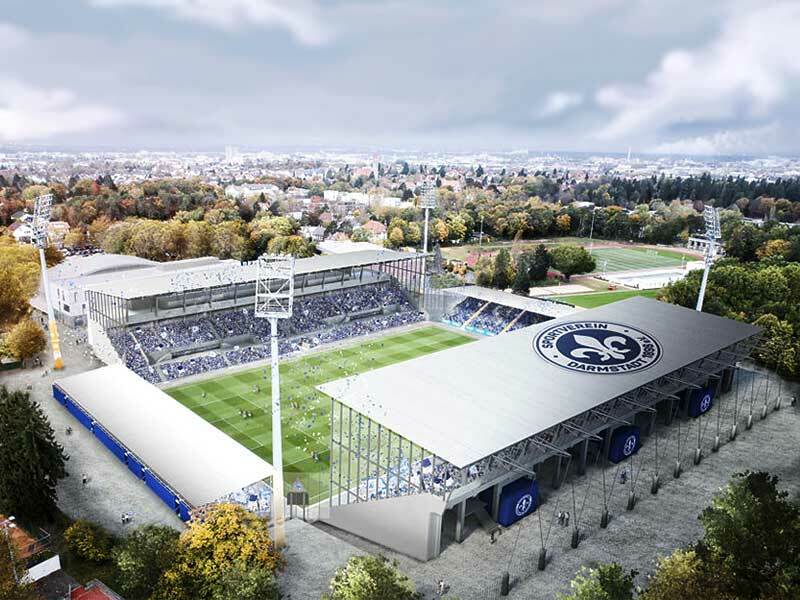 SV Darmstadt 98 says the first preparatory measures are now being taken for the approved renovation. 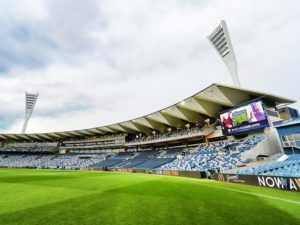 According to the club’s official website, a general contractor has already begun initial work on 12th November on the Gegengeraden (the open stand opposite the main stand). A construction site access has already been set up in this area. The conversion work on the Gegengeraden is scheduled to be completed by end of 2019. As the club says goodbye to its old stadium, SV Darmstadt 98 wants to bid farewell to its fans from the Gegengeraden. The area will be available only to home fans for the purpose. The entire area will also be available for the blue-white fans in ticket sales. As per the official website of Darmstadt, FC Ingolstadt fans will be based in N4, which is the outer area of the North Stand. Following the last home game against FC Ingolstadt, memorabilia from the Gegengeraden will be sold to interested fans, their motto being “Gegengeraden lives on”. They feel that a number of elements of the Gegengeraden can be saved like parts of fence, rain gutter grids and other small parts. The proceeds from the sales will be used for fan-specific upgrades in the renovated stadium. The initial calculated estimate of €14 million is now expected to increase to €18-19 million, says the Lilies CEO, Michael Weilguny. The funding will be shared by the city of Darmstadt, the club and the state of Hesse. The additional costs will be borne by the club and the city.